Remember when MySpace was the bomb and people said "the bomb?" Then Facebook came along stole it's glory. Then Twitter showed up and was way better but no one wanted to admit it. Well social media is always changing and Google + is where it's at in the future. It's a little lonely at times because people haven't quite figured it out or made the switch, but it's getting there. I think the addition of Communities had made a big difference. It encourages more interactions between people. I randomly discovered the Communities section while updating my Google + page and decided to search for some groups to join. Naturally the first thing I searched for was Cloth Diapers. To my surprise there wasn't a group! I quickly created one and 12 people joined in the first week. 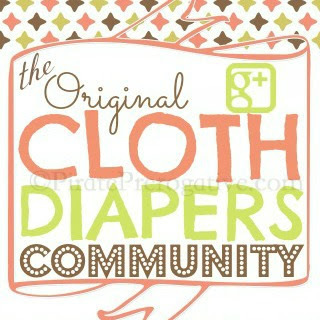 Now that same community is not only the first Cloth Diapers Community, but also the largest on Google +. 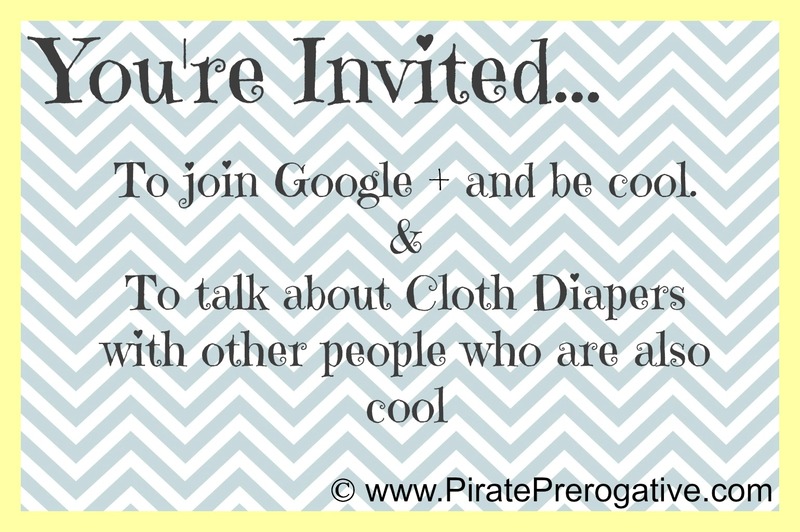 Since you can never have too many friends, or too many cloth diapers I am posting this as an invite to you. You are cordially invited to join the Cloth Diapers Community and Google + if you haven't already. Don't be scurred, it's fun. The updated app for your phone makes using Google + so much simpler now too. I am not at all being payed to promote Google +, I just think the community feature was cool and Facebook really gets on my nerves sometimes.